The announcement comes a week after festival organizers announced a partial lineup led by the Kings of Leon and The Killers. But last week's lineup did not include McCartney, despite weeks of rumors that he would be the top draw. Organizers said at the time that they were still waiting on final approval for the third headline act. 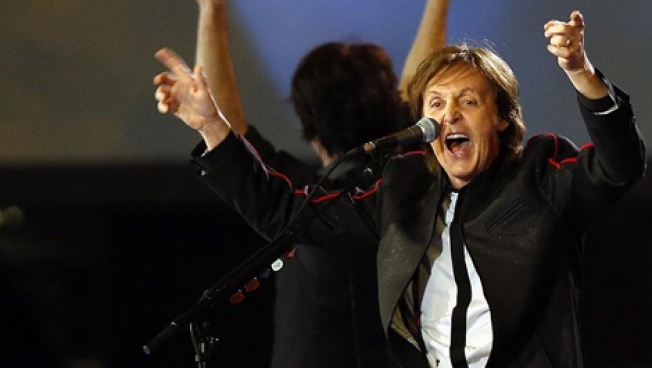 "These things don't happen overnight, and we're excited to announce the addition of Paul McCartney today,'' said Lauren King, a spokeswoman for festival producer Red Frog Events. Firefly officials said McCartney's June appearance in Dover is the latest confirmed date of his "Out There'' tour, which will also take him to Japan and South Korea. Other acts scheduled for this year's festival, scheduled for June 18-21, include Morrissey, Snoop Dogg, Foster the People and Modest Mouse. The lineup also has scores of other artists, including Gary Glark Jr., Run the Jewels, Spoon, Empire of the Sun, and Matt & Kim. VIP pass options will go on sale Friday, with general admission ticket sales starting Monday. Attendance at Firefly has skyrocketed since the first event drew about 30,000 to the woodlands around Dover Downs International Speedway in 2012. Last year, about 80,000 fans showed up, making it one of the fastest-growing festivals in the country. Chicago-based Red Frog Events, which founded the Firefly festival, teamed up last year with Los Angeles-based Goldenvoice, the group behind the Coachella music festival in California, to promote and produce Firefly.